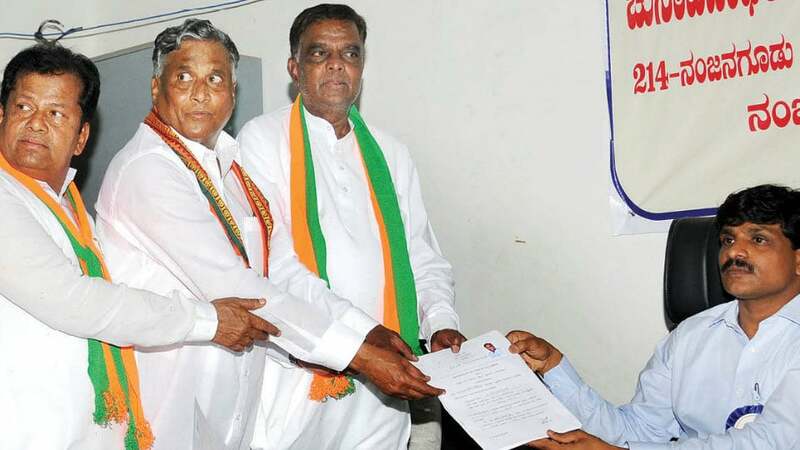 Nanjangud and Gundlupet are set to witness a high-voltage and acrimonious campaign as BJP and Congress candidates filed their nomination papers this morning. While V. Sreenivasa Prasad of BJP and Congress candidate Kalale Keshavamurthy filed their nomination papers for Nanjangud, C.S. Niranjan Kumar of BJP and Geetha Mahadevaprasad of Congress filed their nomination papers for Gundlupet by-polls. The candidates in fray came in grand processions amidst cheering supporters and filed their nomination papers. The JD(S) is not fielding candidates from both constituencies, thus paving way for a direct contest between the BJP and Congress. 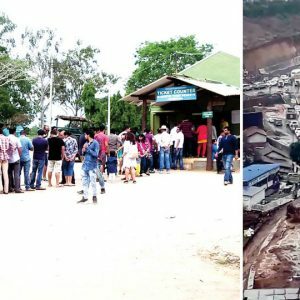 At Gundlupet, the battle of one-upmanship between party workers of BJP and Congress resulted in them exchanging blows and pelting stones and slippers at each other. Trouble began as two processions – one by the BJP and the other by the Congress – met at the Taluk office. They hurled abuses at each other. Soon, verbal spat turned into a fisticuffs battle. The Police had to resort to lathi charge to disperse the mob. One person sustained injuries and has been admitted to a hospital. 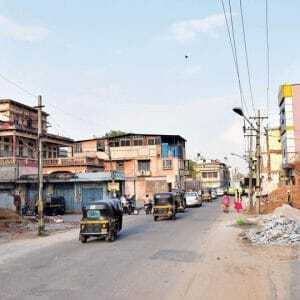 Notably, Section 144 was imposed 500 metres around the Taluk office. 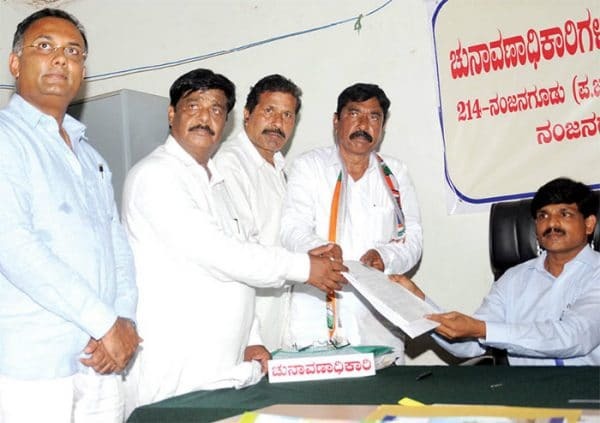 Congress candidate Kalale Keshavamurthy (extreme right) filing his nomination papers as KPCC Working President Dinesh Gundu Rao, District in-Charge Minister Dr. H.C. Mahadevappa and others look on. The border town of Gundlupet today wore a festive atmosphere with banners, flags, buntings of BJP and Congress dominating every nook and corner. BJP workers assembled at the D. Devaraj Urs Stadium this morning and came to the Taluk Office in a procession that had more than 7,000 people. Candidate C.S. Niranjan Kumar was accompanied by State BJP President and former CM B.S. Yeddyurappa, Member of Parliament Pratap Simha, former Ministers B. Sriramulu, Aravinda Limbavali. 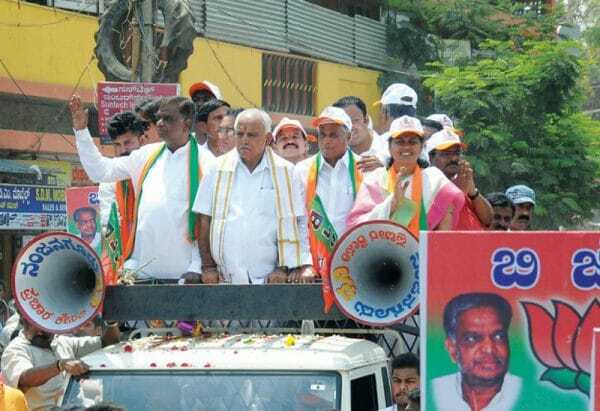 Yeddyurappa was seen continuously addressing the crowd and he appealed the people to support BJP. “Vote for Niranjan Kumar and you will make Prime Minister Narendra Modi’s hands stronger,” he said and added that Gundlupet remained underdeveloped during the Congress regime. 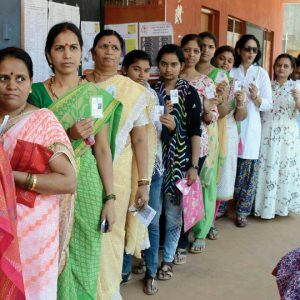 The procession reached the Taluk Office at 10:30 am and Niranjan Kumar handed over the nomination papers to Assistant Commissioner Kollegal Sub-Division Nalini Atul who is also the election officer. After Niranjan Kumar filed his nomination papers, Geetha Mahadeva Prasad filed her papers at around 2 pm. The Congress rally began at Kodalli Circle and arrived at the Taluk office via Ooty Circle. She was accompanied by Food and Civil Supplies Minister U.T. Khader. Congress rally led by District In-charge Minister Dr. H.C. Mahadevappa. Earlier, Prasad, along with party leaders offered special pujas at Prasanna Chintamani Ganapathi Temple and went on a procession in an open vehicle to the Taluk office with much fanfare to file the nomination papers. The procession passed through Mahatma Gandhi Road and Rastrapathi Road with BJP activists shouting pro-party slogans. Congress candidate Kalale Keshavamurthy, who also arrived in a grand procession from Prasanna Chintamani Ganapathi Temple, filed his nomination papers at around 11.35 am. He was accompanied by District In-charge Minister Dr. H.C. Mahadevappa, KPCC Working President Dinesh Gundu Rao, Taluk Panchayat Members Moogaraju and Madappa. The procession witnessed thousands of Congress and BJP activists taking part in the rally braving hot sun with their candidates filing nomination papers. The entire stretch between Hullahalli Circle, Rastrapathi Road and Mahatma Gandhi Road was jam-packed with activists of both the parties. Activists were seen holding party flags and shouting pro-party slogans as the candidates and political leaders waved to the surging crowd. While BJP leaders B.S. 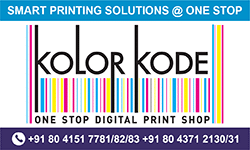 Yeddyurappa, Shobha Karandlaje, Suresh Kumar, C. Ramesh, V. Somanna, Kumar Bangarappa, MP Pratap Simha, Katta Subramanya Naidu, C.T. Ravi and B. Somashekar joined the party candidate in the procession from Hullahalli Circle to Taluk Office, Congress leaders U.T. Khader, Satish Jharkiholi, MP R. Dhruvanarayana, MLAs Puttarangashetty, Vasu and M.K. Somashekar, MLCs Dharmasena and Rizwan Arshad and Mysuru District Congress President Dr. B.J. Vijaykumar came in support of their candidate. BJP rally in Nanjangud is seen led by former Chief Minister B.S. Yeddyurappa. 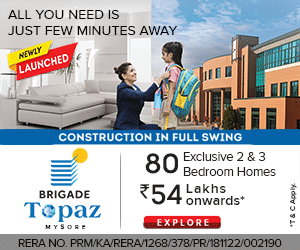 BATTLE OF PRESTIGE: The by-election has turned out to be a battle of prestige between Chief Minister Siddharamaiah and Yeddyurappa. Political pundits say it will be a key indicator for the 2018 general elections. Elections to both Nanjangud and Gundlupet will be held on April 9.The last date for filing the nominations is Mar. 21 (tomorrow). 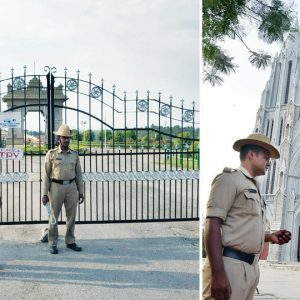 The elections to the two constituencies were necessitated following the resignation of V. Sreenivasa Prasad as MLA after he was dropped from the Cabinet and his subsequent entry to the BJP. The polls to Gundlupet are being held owing to the sudden demise of H.S. Mahadevaprasad. The Congress is hoping to garner sympathy votes following the death of Mahadevaprasad.